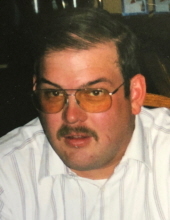 Age 51, of Morrice, passed away Tuesday, Nov. 20, 2018. Funeral services will take place at 1 p.m. Saturday, Nov. 24, at Nelson-House Funeral Homes, Owosso Chapel, with the Rev. Don Wentz officiating. The family will receive friends from 2 to 8 p.m. today, Nov. 23, at the funeral home. James was born Sept. 30, 1967, in Owosso, the son of Clyde “Bill” and Mary (Wing) Ware. He was a graduate of Morrice High School in the class of 1985. James was involved in the Perry-Morrice FFA and was a member of the Heart of Michigan Antique Tractor Club. James was employed with Ryder as a truck driver for the past 13 years. He is survived by his mother, sisters Lori (Dan) Ritter and Christine (Allan) Cole, one niece, four nephews, and one super nephew, several aunts and uncles, and many other loving family members. James was predeceased by his father.